Coming up to the testing date of the latest derivative of the famous and historic Australian icon I had high hopes that they had learned from the past and created a Commodore I would want to own. Happily I can report that I wasn’t disappointed. The smooth lines of the exterior ooze European influence and look clean, uncluttered and muscular all at the same time. 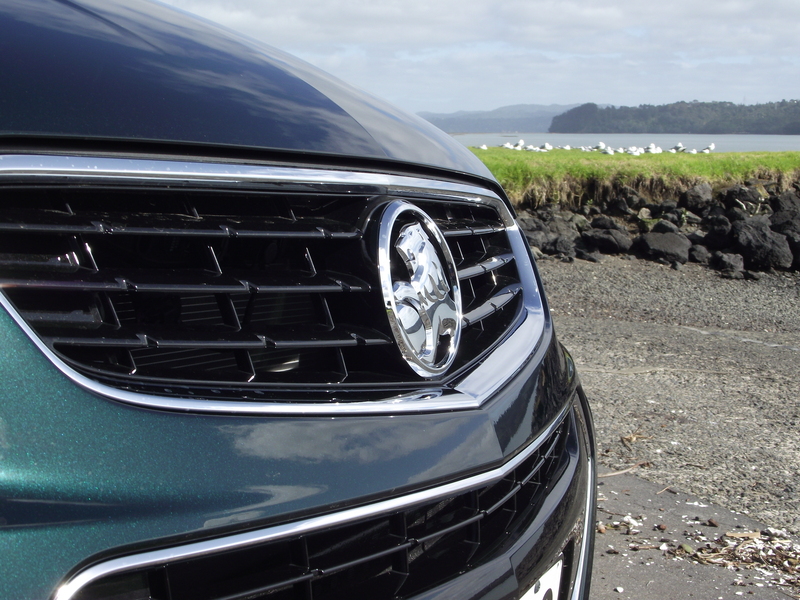 Daytime running lights and a stunning colour range including the Regal Peacock Green, as tested, which most of the time looks to be actually black, but get it in the right light it shows up as a brilliant metallic dark green. 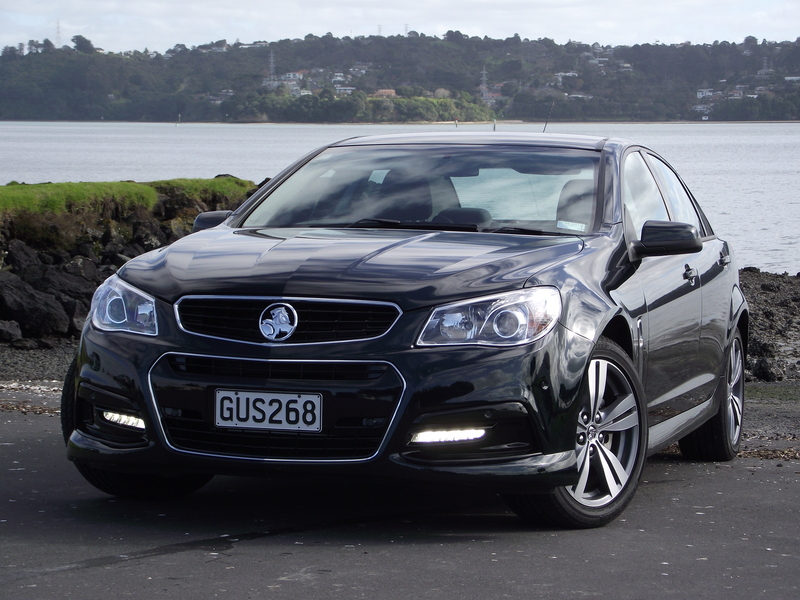 The equipment levels of the SV6 Commodore will match, and excel any other car in its class for the same money. Items like blind spot alert indicators which show a light within the side mirrors if there is a car beside and slightly behind you in the next lane are more like something you would find on $100,000 plus premium euro machines. 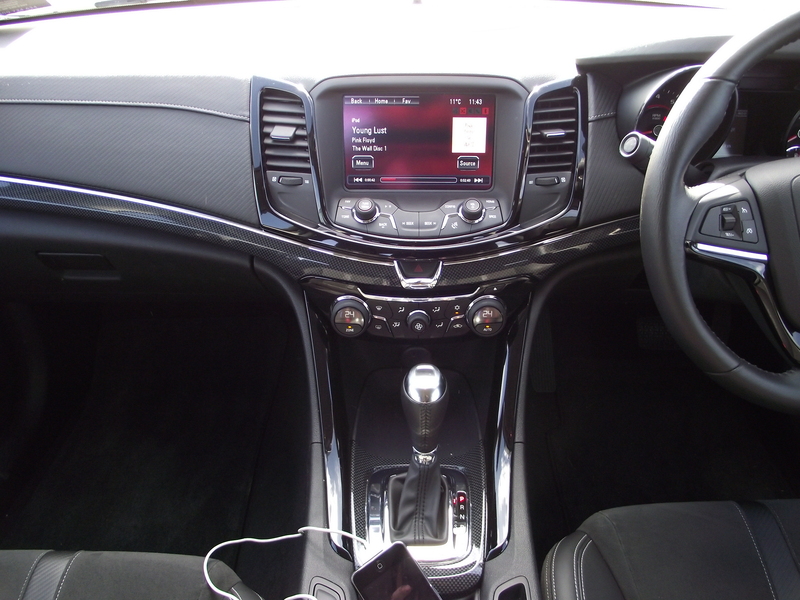 Then there’s the Holden MyLink infotainment system with satellite navigation which has a decidedly demanding voice that I would assume to be part German with guidance commands like “Turn right, NOW”. Even the base model Evoke has Automatic Park Assist fitted as standard. I pride myself on how well I parallel park but there is simply no topping this system, it could almost put Peter Bell’s parking style to shame! Trailer Sway Control will detect if your boat, caravan or horse float begins to show signs of getting out of hand then will reduce engine power and brake the vehicle gently to bring it back in line. How do they come up with this wizardry! Performance from the 3.6 litre SIDI V6 engine won’t leave you wanting for more power. I have always loved this engine and it seems to get better and better as each generation comes along. Producing a boy racer beating 210kW of power and enough torque, 350Nm, to knock the boat off its trailer or rip the draw bar off the caravan. It is by no means an economical engine, and certainly if you want to keep the smile on your dial you will be driving it the most uneconomical way you can, but treat the accelerator pedal gently and you will be rewarded with less trips to the petrol station. 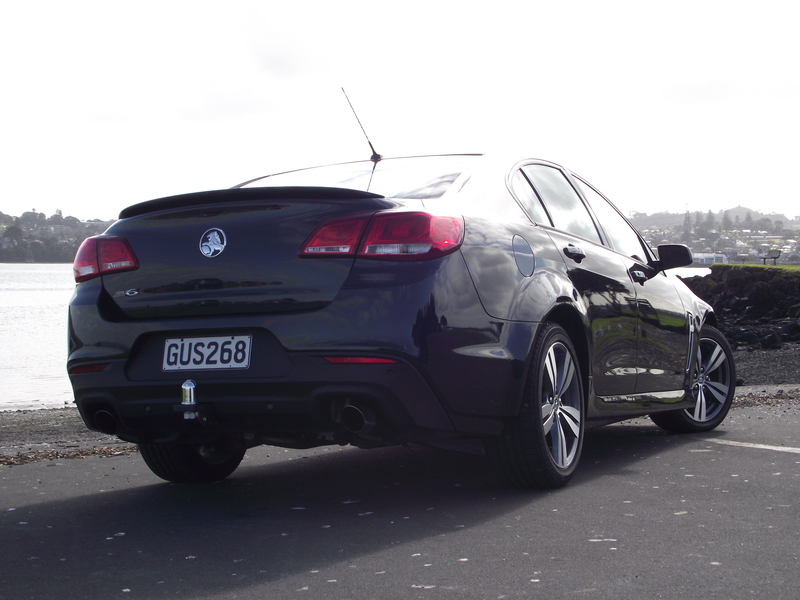 Would I be tempted to buy the new VF Commodore? You bet! 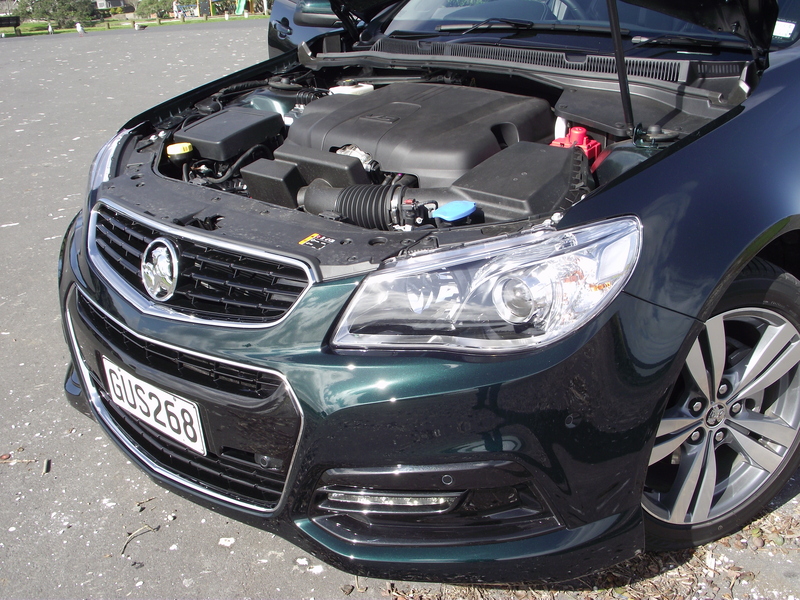 Looks, great equipment levels, power and quality the VF commodore has it all now. The quality aspect had me steering clear of previous models but now that issue has be rectified there is very little that compares. 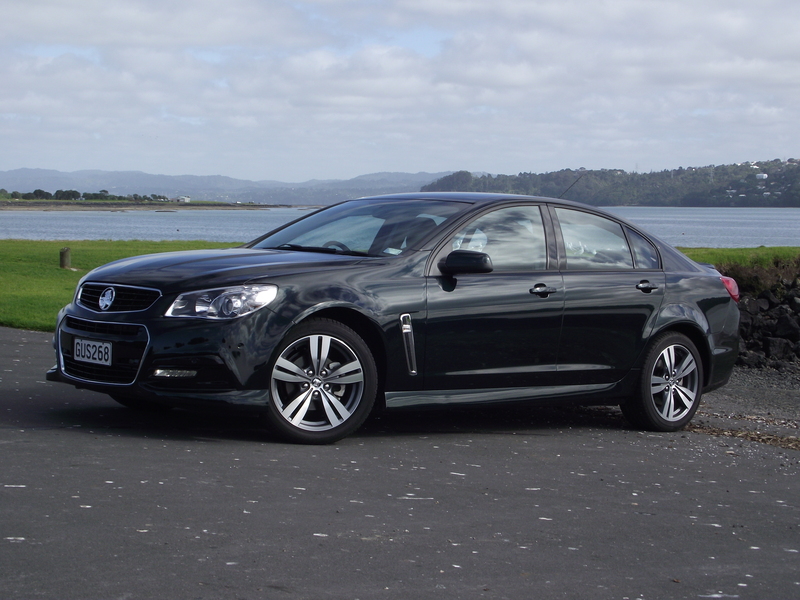 The VF range starts from $49,990 for the base Evoke, SV6 (as tested) at $55,490, right up to the top-of-the-line SS V-Series redline at $74,490. Still well under the price of the European equivalent and with this spec and quality why would you go euro?